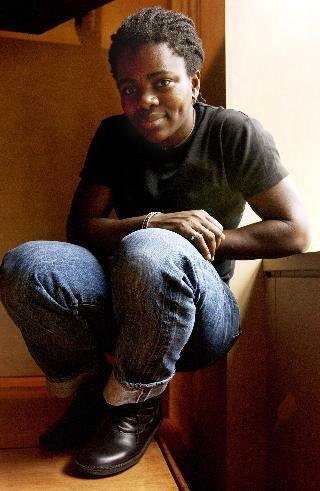 You are at:Home»Press»2002 – Tracy Chapman still introspective? 2002 – Tracy Chapman still introspective? 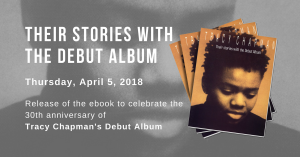 NEW YORK (AP) – The impish image of Tracy Chapman on the cover of her new CD tells no secrets. It’s only in meeting her face-to-face, where the flecks of gray in her dreadlocks are visible, does it hit you that it’s been 14 years since Chapman’s attention-grabbing debut. On the strengths of songs like “Fast Car” and “Talking ‘Bout a Revolution,” Chapman had an instant hit album — a rare feat, then and now, for the introspective songwriting that dominates her work. A few months ago, Chapman was moving boxes in her home when she came across magazine articles and tour memorabilia from those days that she had tossed aside. The commercial success, duplicated with the 1996 hit “Give Me One Reason,” has benefits beyond the obvious financial ones. “Having a record that does so well gave me the freedom that I feel like I exercise now in making music that I like, that I might not otherwise be able to make, at least not with a record company like this,” said Chapman, 38. Her latest disc, “Let it Rain,” was released this week on Elektra Records. It is exactly what one would expect from a Tracy Chapman album — mostly quiet, sincere, non-trendy ruminations on love and relationships. There’s no overriding theme, although Chapman jokes that with the songs like “Let it Rain” and “Another Sun,” plus a lyrical reference to “the wind on my face,” she should promote her music on The Weather Channel. The subdued music and a cut like “Happy,” where the narrator is anything but, won’t do anything to change a dour image. But there is variety: the single, “You’re the One,” is a playful take on the common theme of falling in love with someone your friends say is no good for you. Chapman recorded the album this summer in San Francisco, where she lives, and co-produced it with John Parish. His resume, working with P.J. Harvey, the Eels and Sparklehorse, wouldn’t suggest a natural fit, but they hit it off and he met Chapman’s requirement for this disc: she wanted to work as a team with someone who was also a musician. A full band is used on most songs but is muted. The emphasis, as usual, is on Chapman’s voice. Though friendly and quick with a laugh, Chapman actually seems quite shy. And aside from the city where she lives, her fans don’t know much about Chapman besides her songs. “I have a public life that’s my work life and I have my personal life,” she said. “In some ways, the decision to keep the two things separate relates to the work I do.